Under limited supervision, provides leadership in supporting, promoting, and assessing progress toward improved instructional outcomes at the early childhood and elementary school levels. Performs related professional, administrative, and supervisory duties as required. Coordinates with the work of content specialists; coaches and advises. Reviews subordinates’ adherence to regulations, district goals, and policies. Reports to the Chief Academic Officer.  Plans and implements a district-wide program of curriculum review and development at the early childhood and elementary levels.  Develops an effective, district wide program of supervision and in-service education of the instructional staff of the early childhood and elementary schools.  Assists with planning and the implementation of the strategic plan of the district.  Engages in an on-going evaluation of the effectiveness of the instructional program.  Integrates instructional programs among the early childhood and elementary education schools. With the content coordinators, articulates curricula between grade levels, and between early childhood and elementary schools.  Assist with system level planning to coordinate the transition between early childhood, elementary and secondary.  Recommends areas in professional development to address instructional issues and works with the coordinator of professional development to provide appropriate professional development for the district.  Monitors the early childhood and elementary school instructional process; is visible in early childhood and elementary schools; and analyzes the results of state, district, and school data to make recommendations for improving instructional services as appropriate.  Directs, coordinates, and facilitates assistance to early childhood and elementary education school principals concerning building level issues.  Coordinates and provides instructional assistance to teachers; works with teachers in the preparation of curriculum and materials.  Provides guidance in the selection and use of textbooks and other teaching materials.  Organizes and facilitates early childhood and elementary intervention programs.  Coaches and advises; directs and supervises duties of assigned staff. Supervisory duties include instructing; assigning, reviewing, and planning work of others; maintaining standards; coordinating activities.  Assists in the recruiting, interviewing, screening, and recommending of qualified candidates for positions on the early childhood and elementary schools’ professional staff upon request.  Serves as the chair of the early childhood and elementary guidance counselors. 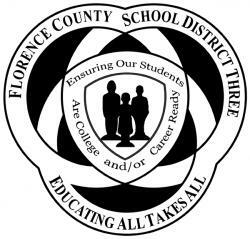 Collaborates with all instructional divisions to include special services and magnet programs. Works with principal to resolve parents and students instructional concerns. Works with other instructional directors, supervisors, and coordinators in planning and implementing early childhood and elementary district-wide initiatives.  Reviews the work of subordinates for completeness, accuracy, and adherence to district policies; evaluates and makes recommendations as appropriate.  Assist in the preparation of grant proposals and the administration of funds for special projects and programs.  Receives, reviews, prepares, and/or submits various records and reports including statistical data, statistical and analytical reports, technical reports, payroll reports, requisitions and purchase orders, training reports, budget documents, memos, correspondence, etc.  Provides content for the district website and assists in promoting other district programs.  Keeps abreast of developments and innovations in the profession and ensure that staff members remain current as well.  Interacts and communicates with various groups and individuals such as the immediate supervisor, other administrators, principals, teachers, students, Board members, and the general public.  Appoints and chairs, as requested, committees and task forces to study and make recommendations regarding special initiatives; serves on district and state committees as appropriate.  Represents the district at various local, state, and national professional meetings as requested.  Master’s Degree in Elementary Educational Administration or a related field is required; Educational Specialist degree preferred or in a program.  Ability to function calmly and effectively under pressure.  Ability to reflect, and access; as well as develop plans.  Must be able to analyze data.  Ability to exercise strict confidence in handling sensitive information. This job description is intended to serve as a summary of the primary responsibilities and qualifications for this position. It is not intended as inclusive of all duties an individual may be asked to perform while in this position or of all qualifications that may be required now or in the future.